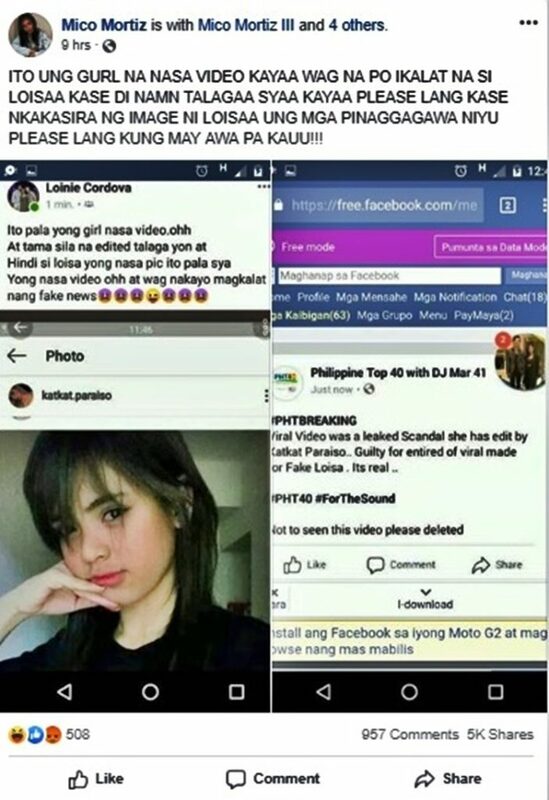 Loisa Andalio video is accordingly not true. 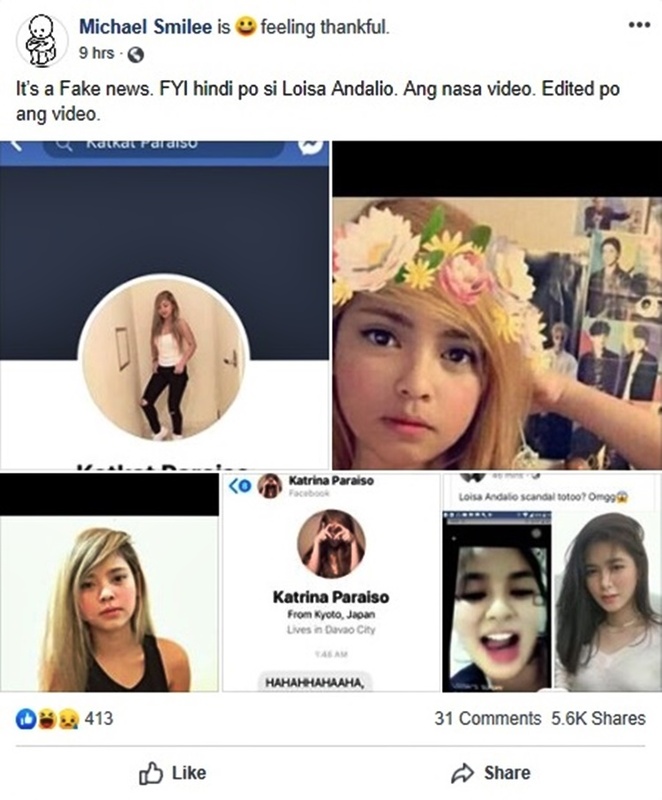 LOISA ANDALIO VIDEO – The “for adults” video of the Kapamilya actress Loisa Andalio is accordingly not true and is owned by someone named “Katrina Paraiso”. With the social media being one of the major platforms of people as form of communication, this is also where some videos appropriate for adults have emerged. And just recently, an alleged video of the Kapamilya actress Loisa Andalio has emerged online which caught the attention of a lot of netizens. Andalio was never alone being a victim of these kind of issues. Among the famous personalities who allegedly has mature-content videos are One Teen Housemate of PBB Otso, Janno Gibbs, Mark Herras, Thea Tolentino, and many more. As the video and screenshots from the video continue to circulate online, some netizens were doubtful that it was the actress. The video was reportedly taken last 2018 while the others were convinced that it was her because of the tattoo and the similar shirt she used to wear on some incidents. YAAAAAY HAPPY 4M! 🥰 MWAH! Michael Smilee:It’s a Fake news. FYI hindi po si Loisa Andalio. Ang nasa video. Edited po ang video. Mico Mortiz:ITO UNG GURL NA NASA VIDEO KAYAA WAG NA PO IKALAT NA SI LOISAA KASE DI NAMN TALAGAA SYAA KAYAA PLEASE LANG KASE NKAKASIRA NG IMAGE NI LOISAA UNG MGA PINAGGAGAWA NIYU PLEASE LANG KUNG MAY AWA PA KAUU!!! Nagmalinis Yung nagpost pero may siniraan din syang tao hahaha. Kupal.